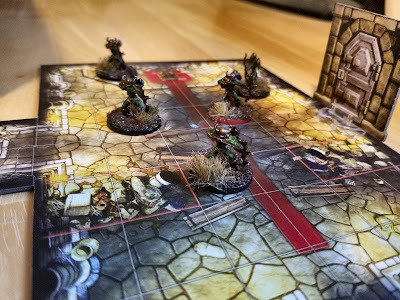 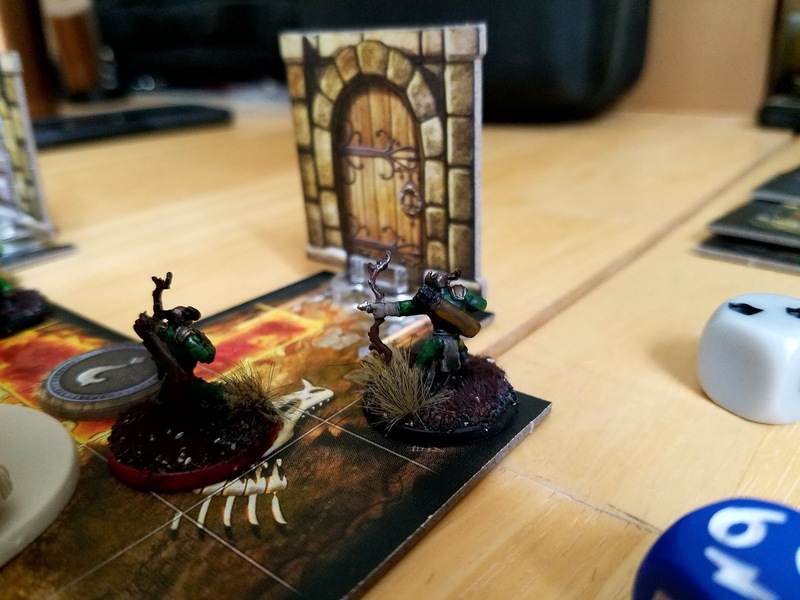 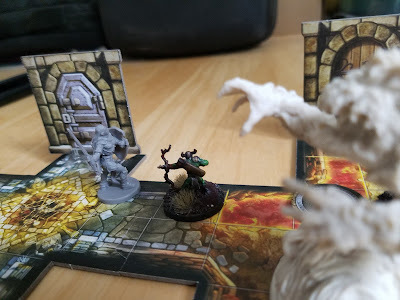 I started painting my Descent: Journeys in the Dark 2nd Ed. figs recently. 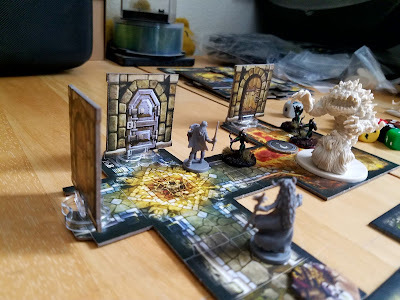 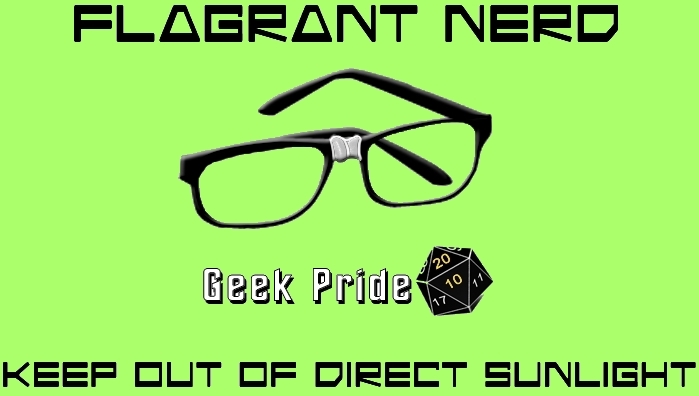 Some games, Descent for example, have some really excellent sculpts for miniatures. 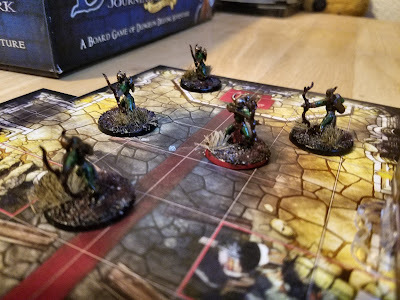 Plus as the pieces are usually in identical poses (note all of the Goblin Archers in these pics have the same pose) and it lends itself to a kind of assembly line style of painting process, so you can get your game pieces painted up pretty quickly. And it really makes your games pop even more - really look at the difference between the Goblin Archers and the other unpainted pieces on the table here. 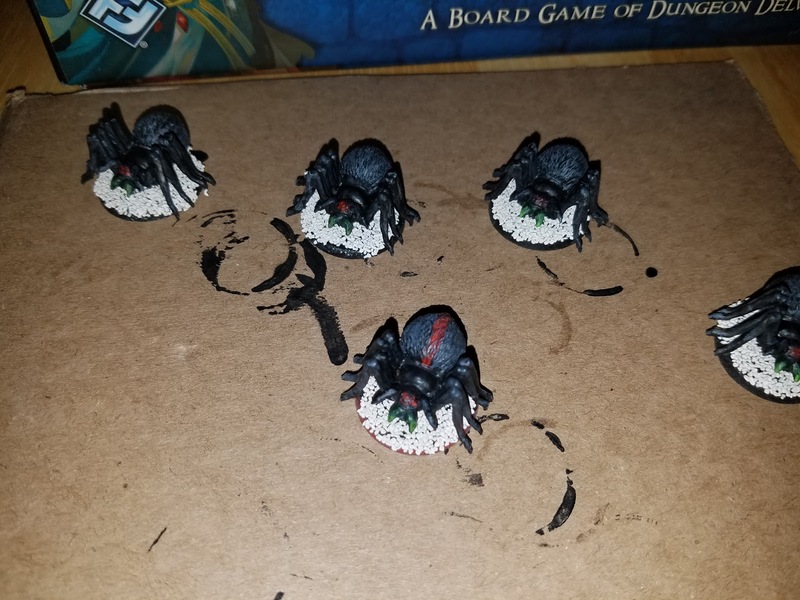 Next...on to my Cave Spiders (just finishing up the basing...)!